One of the interesting effects of ballistic missile defense is how it has affected relations between states. The decades of tension that have arisen between Moscow and Washington over strategic defense issue are well known. Now U.S. ballistic missile defenses (BMD) are driving China and Russia closer together. But missile defenses can also strengthen relations between countries. For example, missile defense has become an important dimension of the revitalized Japan-U.S. security alliance. BMD has strengthened cooperation between both countries directly through their joint BMD programs, discouraged Japan from developing its own nuclear deterrent, and induced Tokyo to broaden its defense collaboration with other countries by relaxing its arms export rules. The same pattern may arise in the Middle East, where Iran’s neighbors are pondering whether missile defenses can obviate their need to acquire nuclear weapons if Iran does. In other cases, the BMD issue has had diverse effects. South Korea, for example, has sought to benefit from U.S. technologies without alarming China by joining the Pentagon’s wider regional efforts. The United States finds itself at the heart of the international politics of missile defense. Its leading global role in developing and deploying BMD technologies and its worldwide network of alliances both empower and oblige the United States to defend much of the world from missile attack. These same alignments also provide the ties the Pentagon needs to construct a globally linked network of BMD sensors and facilities. For this reason, Washington has lobbied its friends and allies to cooperate with U.S. regional BMD initiatives as a means to strengthen mutual defense capabilities and to supplement traditional U.S. nuclear and conventional deterrence guarantees with missile defenses. The Obama administration has also used its strong investments in missile defense to reassure countries concerned by the administration’s desire to downplay the role of nuclear weapons in U.S. foreign policy. 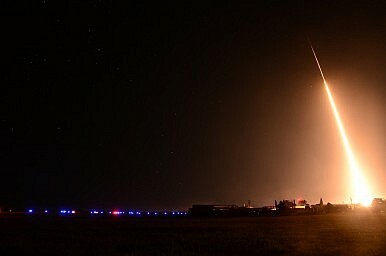 U.S. officials have persuaded most allied governments that missile defenses complement deterrence by causing potential aggressors to doubt that any attack could succeed as well as providing a hedge should deterrence fail. More than 30 countries already have, or are acquiring, short- and medium-range missiles able to deliver conventional payloads at great speed and distance. Some are trying to develop longer-range missiles that can carry warheads armed with various weapons of mass destruction (nuclear, chemical, and biological). The 2010 Ballistic Missile Defense Review (BMDR) predicts that the missile threats to the United States and its allies will grow in quantity and quality as antagonistic states increase the size and capabilities of their ballistic missiles. With respect to the latter, ballistic missile systems are becoming more flexible, mobile, reliable, survivable, accurate, and able to fly longer and farther.